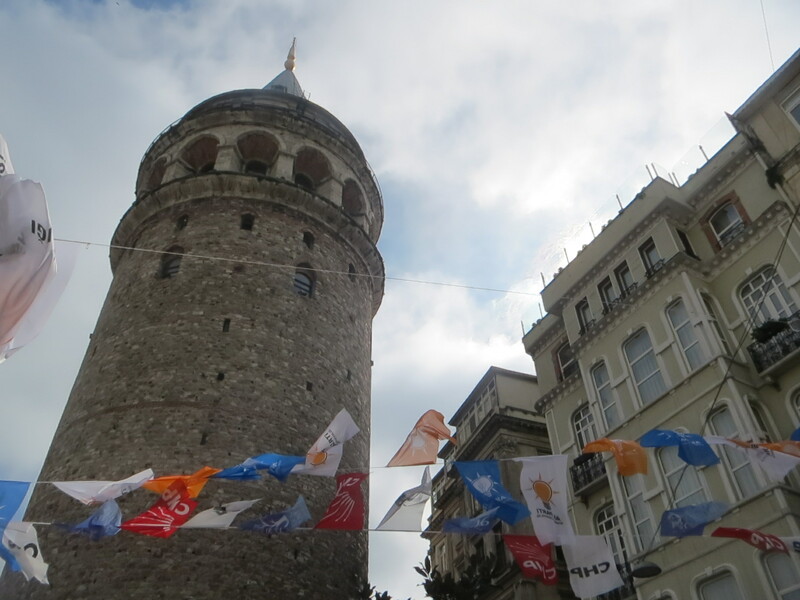 I have been putting off writing this post for a month now… I guess I’m still in denial about leaving Istanbul, and I feel as though posting this will solidify the fact that I am no longer a temporary resident of one of the world’s most amazing cities. There are two ways to say goodbye in Turkish, depending on whether you are the one staying or going. “Güle güle” is what you say to someone who is leaving. Literally, it means “smiling, smiling.” Last month, I was forced to leave behind my home for the past four months and come straight back to school in Texas. My taxi ride to the airport provided a perfect contrast with the one from my first day in Turkey. I sat in the backseat and had a whole conversation in Turkish with the taxi driver, who encouraged me to come back to Turkey someday. As if I needed any convincing. These past few months have been nothing less than incredible, and I have been so lucky to have met some of the greatest people in the world, from all my Turkish classmates to the other exchange students I have met from all over the world to the closeknit group of friends I began to have there at the end to everyone I encountered in Tbilisi and Cappadocia to all the people I have met in the strangest of circumstances, and I really can’t wait to go back over there. Now I am back in Waco, working in the international office and in a constant state of scrambling to keep up with everything– not having a winter break turned out to be a little more challenging than I had anticipated. My job has been one of the best things about being back in the states, because I have been able to meet many of the exchange students studying at Baylor, including a Turkish guy who has become a pretty good friend of mine and even came back to Louisiana with me for Mardi Gras weekend. Ever since I have come back, people have been asking me where I’m going next. I’m working on it. My days of studying abroad are over because I have to stay at Baylor to write a thesis next year, but for the summer (my last one as an undergrad), my rough draft plan includes a language school in the Himalayas, some time with friends in New Delhi, and depending on my money situation, hopefully Istanbul at the end. Operation Obtain Travel Funds begins now. The most beautiful sunset I have ever seen. 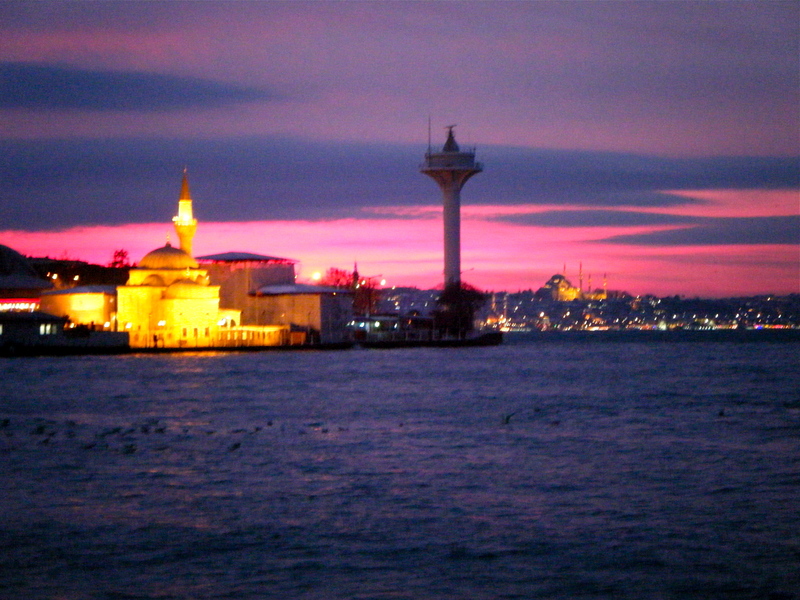 Goodbye Istanbul, I’ll see you again soon. I knew I was falling as soon as I shifted my balance from one foot to the other. There was no time to catch myself, and during my very short transition from a vertical position to a horizontal one, the only thing I was aware of was a Japanese lady screaming. Then I was lying in a pool of warm water in front of approximately one hundred tourists to the Pamukkale World Heritage Site. I picked myself up as well as the pieces of my shattered pride. Unable to think of anything else to do, I bowed to my audience and, soaking wet, began walking as quickly and carefully as possible towards the exit. I had arrived in Pamukkale just that morning, the first destination on my four-day solo trip to southwestern Turkey. All semester I had been planning to visit Ephesus, a place I have been hearing about in church for my whole life. None of my friends were able to go (understandably, money is running low at the end of the semester), but I wasn’t going to let that stop me from taking this trip. So, I made my plans and after my Turkish final last Friday, I caught an overnight bus to Pamukkale. Traveling alone as a girl is often discouraged because there are some creeps in the world, but I have found that it can be a rewarding experience as long as you are constantly aware of your surroundings and make smart decisions. The next day, I went to Izmir, a city on the Aegean Sea and not far from Ephesus. On my first day there, I met up with a Turkish friend from one of my classes and she showed me around the city, and then took me home to have dinner at her house, where I ended up spending the night. I woke up early the next morning to head back to the bus station, where I found a dolmuş (a kind of minibus) to Selçuk, which is right next to Ephesus. 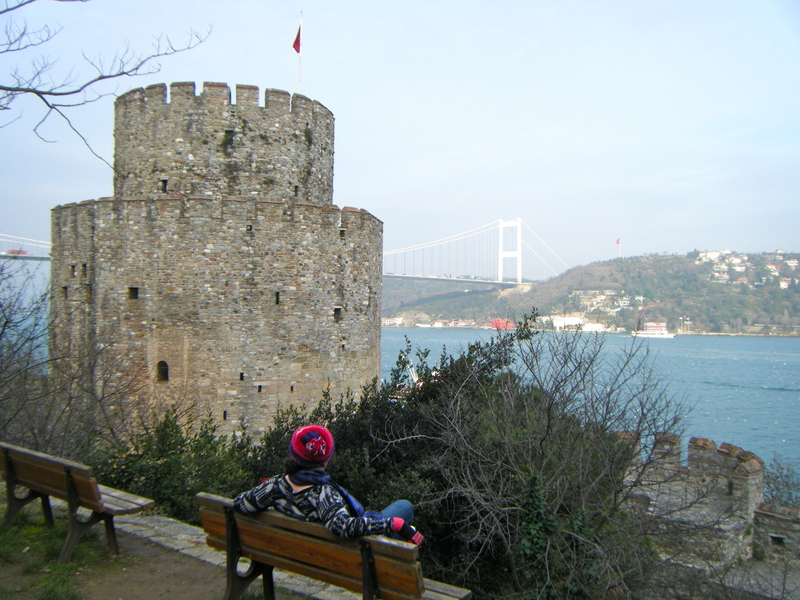 I then got on another dolmuş which brought me right to the city gates. Ephesus was amazing. A lot of the stone pillars and carvings are still intact, and it was easy to imagine the city as it was hundreds of years ago. After Ephesus, I went back to Selçuk, back to Izmir, and to my lonely little hotel room (I wasn’t able to find any hostels), where I immediately fell asleep. When I woke up, it was dark and cold and pretty close to 2013. Not having enough motivation to leave the bed I had warmed with my body heat and wanting to walk alone in the darkness at midnight, I turned on the TV and found a Turkish New Years show, and at midnight I counted down with them in Turkish (beş, dört, üç, iki, bir, AAAAAH!) and reflected on my year as well as thought about what the upcoming one will be like. I know that in 2013 I will probably not spend time in five different countries like I did in 2012, and I know I will be spending at least nine months of next year in Waco, which is a little less exciting than New Delhi or Istanbul. But ultimately, 2013 will be what I make of it… And I think it could be pretty cool. This year I spent my first Christmas away from home. I had been anticipating that I would be homesick during this particular time of year, but my little Turkish community once again pulled through for me. It was definitely strange not being at home with my family, but spending time with my good friends here and the fact that Turkey doesn’t really do commercial Christmas made it very easy to be away during the holiday season. The best Christmas moment of this year happened in one of my classes. Since Turkey is a primarily Muslim country, schools are not cancelled on Christmas and I had four hours of class that day. I had contemplated skipping school, but I had an assignment to turn in and nothing else to do with my Christmas morning, so at 8:45 AM, I left my apartment and headed to class. In the hallway, I ran into one of my Turkish classmates and I wished him a “Mutlu Noel!” (“Merry Christmas”). He laughed at my early morning cheerfulness and wished me a merry Christmas too as we walked into the classroom. Halfway through the two-hour lesson, we were given a break and many students left the room to stretch their legs and get fresh air. At the end of the break, Coşkun (my friend from the hallway) and three other guys from the class came back in the classroom and started singing “We wish you a Merry Christmas,” and they each put a little bar of chocolate on my desk. That in itself was enough to make my Christmas great. I have had so much fun getting to know all my classmates and becoming friends with some of them, and the fact that they made that special gesture on Christmas meant so much to me… I will never forget it. Other highlights from this Christmas season included: an awkward run-in with a priest at an Italian Christmas Eve mass, eating my first chestnut (they tasted like potatoes, which made me happy), my friend Rachel coming from Georgia to visit for a week, Santa Claus coming to my apartment, my first visit to the Hagia Sophia (I don’t know why I had never gone before), hanging out with the Afghani friend I had met in Cappadocia, and SNOW a few days before Christmas, which I think caught everyone off guard. 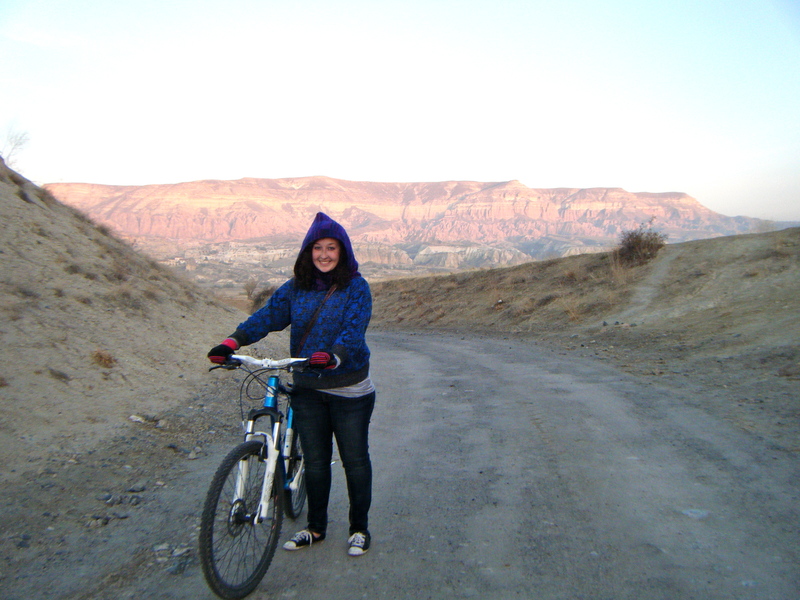 As of tomorrow, I have two weeks left in this amazing place, and 2012 is also coming to an end. I’m honestly not sure if I will ever be able to top what has most definitely been the best year of my life. I got to spend one month in India, four and a half in South Africa, two and a half in Louisiana, and four in Istanbul. I have seen natural wonders on three different continents, eaten weird foreign foods, learned new languages, and made friends all over the world. Everyone I have met everywhere has taught me something. Even the time I spent working at the factory was a valuable experience (I see that now in retrospect). 2013 has got a lot of work to do if it’s going to hold a candle to the epic year I’ve just had. December is already here… The time has passed so quickly, it’s unreal. It feels like just last week that I was trying to navigate Istanbul with zero knowledge of the layout of the city or the Turkish language. But it wasn’t last week, it was three months ago. I now know the average length of a bus ride from Rumeli Hisarüstü (where I live) to Kabataş, Beşiktaş, or Taksim. I can also say things in Turkish like “Boğaziçi Üniversitesi’nde Türkçe öğreniyorum” (“I am learning Turkish at Boğaziçi University”) and “tavla oynamak ister misin?” (“would you like to play backgammon?”) Just this afternoon, the old man who sells me bananas told me that my Turkish is improving. Coming from the old man who sells bananas, it must be true. Silhouetted minarets of mosques against sunset skies and the sounds of car horns and cats and calls to prayer are all familiar to me now. I can even read most menus in Turkish, and I have memorized the wifi password at the Poğaçacı (bakery) near my apartment. I am well on my way to becoming a competent member of Turkish society. Another thing that is starting to happen as time passes is that I run into people I know all over the place. For example, on Wednesday I had a really difficult phonology test, and after it was over I went to celebrate the end of suffering with some of my friends from class. Then I went to another friend’s apartment to work on a group presentation for my TEFL (Teaching English as a Foreign Language) class, and then we hung out for a while after we finished preparing for our presentation. Then on my way back to my apartment, I ran into my German friends from Cappadocia, who invited me to their apartment to make pancakes and celebrate the Dutch Santa Claus, Sinterklaas, who comes on December 5th and not on Christmas. After eating some delicious pancakes and having interesting cultural exchanges, I again headed toward my apartment, only to come across three of my good friends at Mutfak. I joined them for dinner, çay, and tavla (backgammon). Eventually I made it home, where I spent some quality bonding time with our new obese cat. That day was particularly full of chance encounters, but the fact that these things are happening to me more and more frequently is proving that this place is really starting to be my home. Cats on a bench on campus. So. Many. Cats. However, the time to go back to the US is quickly approaching. 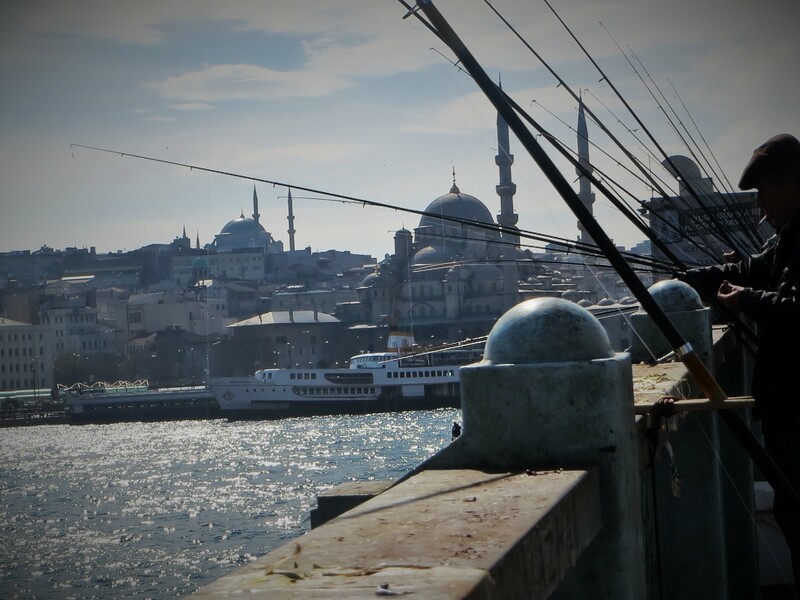 One month from now I will have to say goodbye to Istanbul, which is truly starting to feel like home, and I get panicky just thinking about it. Although it will be nice to be back at Baylor after one year of being abroad, I know I will have a hard time giving up the life I have built in what is possibly the most beautiful city in the world. Even though I haven’t left yet, I already can’t wait to come back and all I can say is that it had better be soon. Yet again, I have been reminded of how blessed I am to be able to live this dream life. 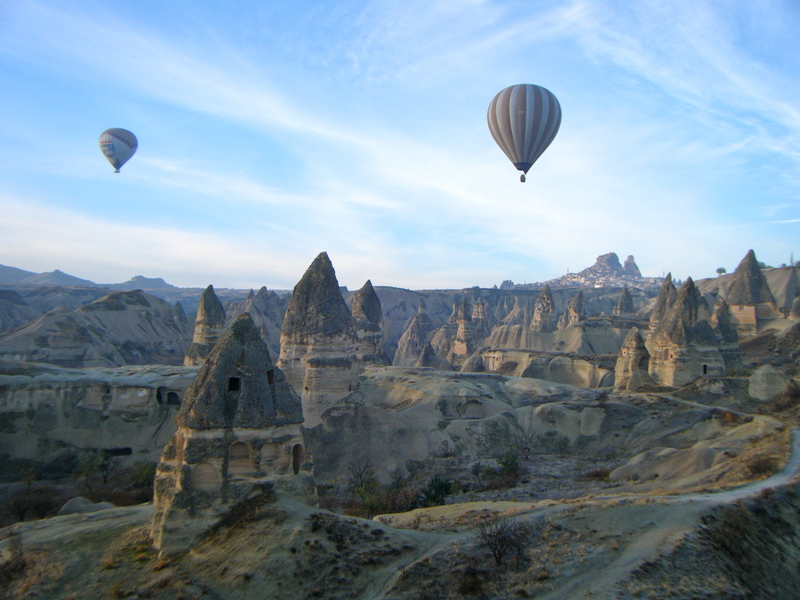 On Wednesday of last week, I set out to Göreme, a tiny town in central Turkey which is located in the region of Cappadocia, a land of crazy rock formations (where some of the early Christians lived) and hot air balloons. I planned my trip with several friends from my university, but I ended up going by myself two days earlier since my classes on Thursday and Friday had been cancelled. I thought that during the two extra days I would just sit in a hostel and do some homework, maybe do a little walking around the town and practicing my Turkish. But from the moment my overnight bus dropped me off amid the bizarre landscape of Göreme at 7 AM on Thursday morning, I began to realize that this little town had other plans for me. Within my first 24 hours in Cappadocia, I had made several new international friends: the Turkish hostel manager with whom I played multiple hours of backgammon, a Pakistani banker, a Canadian backpacker, a Brazilian med student, an Afghani refugee/barista at a coffee shop, a Mexican architect, and multiple Turkish gift shop employees. My first two days were full of cultural and linguistic exploration, and I was able to speak in Turkish, Hindi, and Spanish with various people I met. If I had only met a Xhosa speaker there, I would have been able to practice every language I know. Other than speaking foreign languages, during the first days my activities included exploring an underground city, bicycling through a valley, going to an open air museum where I was photographed (ambushed, actually) by multiple Japanese tourists, and eating a free traditional Turkish meal prepared for me by the awesome staff of my hostel (Cappadocia Rock Valley Pension, I highly recommend it). One of the best things about my trip is that I was never alone except for when I wanted to be (Parental Disclaimer: during the daylight hours and in populated places, of course). On Friday, I walked a Canadian friend to the bus stop just as my school friends were arriving from the airport… Perfect timing. Over Saturday and Sunday, we went hot air ballooning, hiking and exploring some ancient ruins, and I made a return trip with them to the underground city. 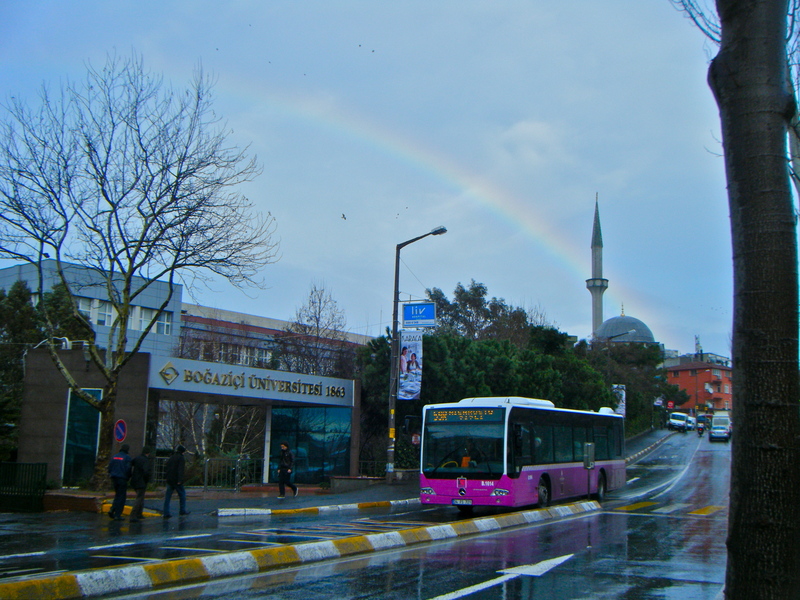 Then on Sunday night I hopped on a bus back to Istanbul, where I arrived just in time for my Monday morning class. 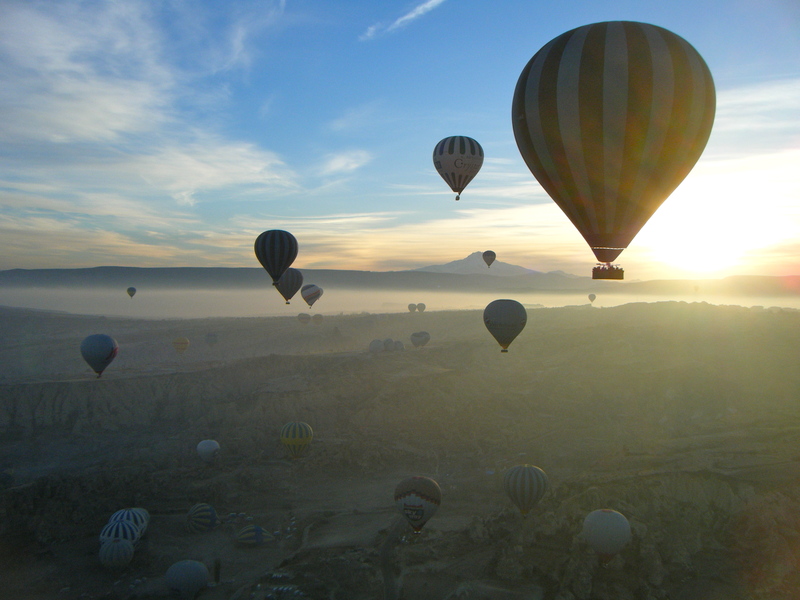 My Cappadocia weekend was easily one of the best experiences I have had in Turkey so far. A few days later, on Thursday night, several of my arkadaşlar (it’s Turkish for friends) and I had a Thanksgiving feast at my apartment. Although we weren’t able to find a turkey or even an oven big enough in which to cook one, KFC made a delicious substitute, and we had other food as well (I really missed my Aunt Jeanne’s green bean casserole though). Overall, it was a great night and I was still able to feel that warm holiday feeling despite being thousands of miles away from home. 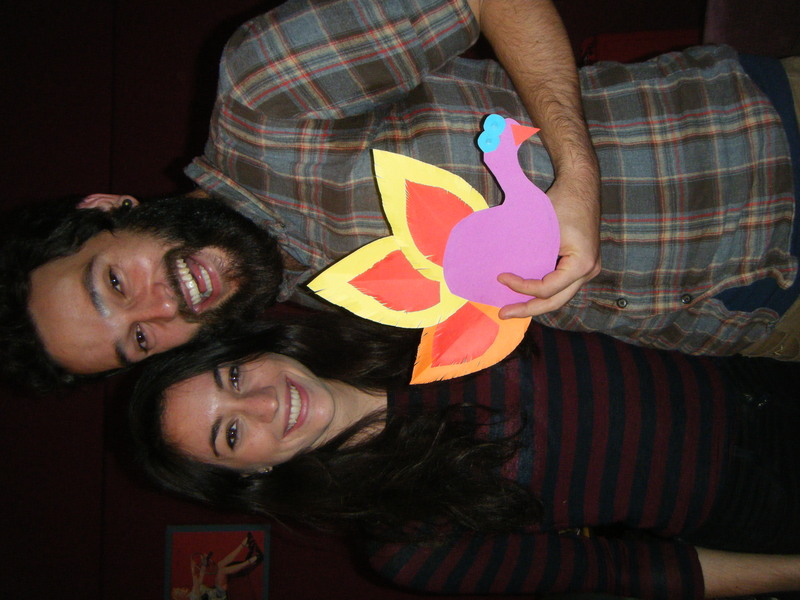 And better still, Thanksgiving Round 2 (complete with a real Turkish turkey) will begin in a few short hours. Basically, the best thing about Turkey is the people I have been able to meet during my time here. During the past week, I have made many new friends in both Cappadocia and Istanbul, became better friends with many acquaintances, and had a perfect Thanksgiving made epic by the people who were there. So thank you, my arkadaşlar, for this wonderful experience. I love everything.